The Mindy Project is taking a kitchen-sink approach to casting its new-to-Hulu fourth season: Garret Dillahunt recently came on board as a doctor who disapproves of Mindy’s lifestyle (kind of like Danny), Joseph Gordon-Levitt will play Mindy’s lover (a lot like Danny), and Sakina Jaffrey and Ajay Mehta have been cast as Mindy’s parents (who don’t like Danny). 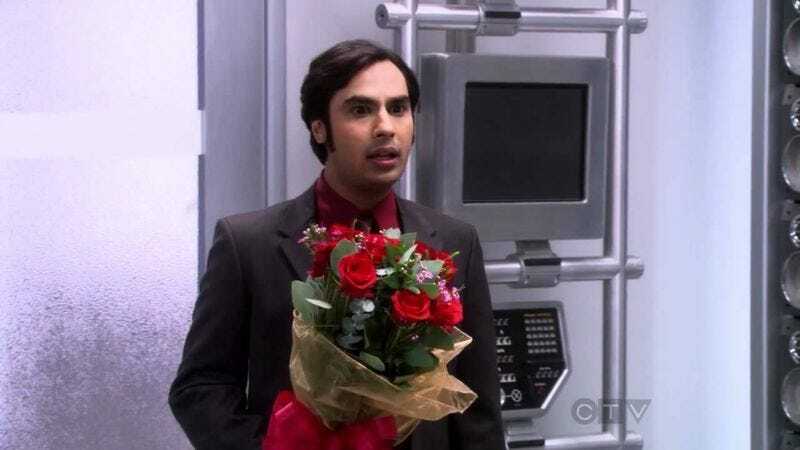 And now TVInsider shares the news that The Big Bang Theory’s Kunal Nayyar will also be vying for screen time and Mindy’s affections. Nayyar will play Sendhil, a hedge fund manager who Mindy’s parents consider a far more suitable suitor for their daughter. Sendhil is described as “charming,” which means he will have the social skills to interact directly with Mindy, probably even verbally, instead of just sending notes to her via her parents. Danny (Chris Messina) will feel threatened by the proposed (by her parents) arranged marriage, despite the fact that Mindy is a grown woman who can say no and who is, incidentally, pregnant with his child. The show’s producers could be stocking up on the guest stars to populate the fourth season’s alternate universe, in which Mindy marries a reality show producer (Gordon-Levitt). But since we don’t know actually how many episodes will be dedicated to that timeline, they could just be following conventional TV wisdom of throwing as many weddings and rivals into the storylines as possible. Viewers love that.